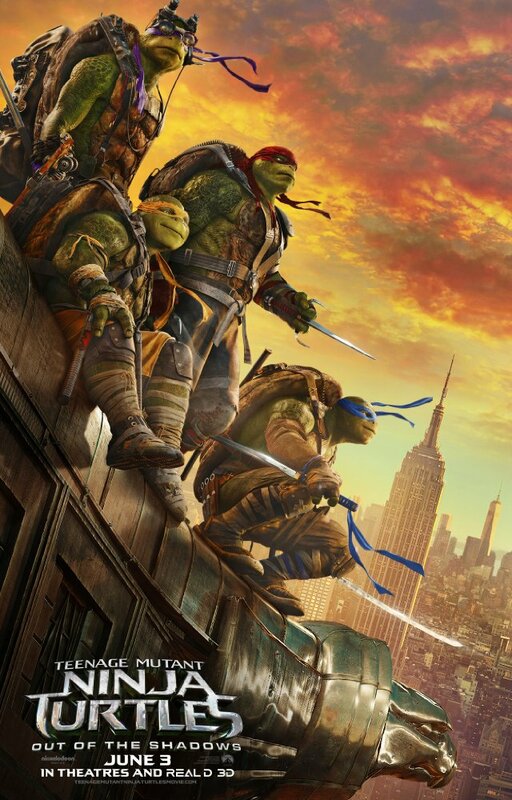 Somewhere along the way we come to the realization that this is a movie focused on mutant turtles and not ninja vigilantes. Fun’s exchanged for solemnity. The plot watered down to include more and more characters. The battle cries for teamwork, brotherhood, and acceptance still echo out, although I’m not so sure they ring true or where they even derive from. You’d expect a little growth to come into play when the turtles leap Out of the Shadows. Instead, we’re locked into a pillory while the stupidity piles up around us. This sequel is darker, denser, and slightly dumber every step of the way. One can easily compare the film to a doomed second date told through a childish mindset. Forced and repeated introductions, less laughter, frequent stirs of quiet. That strange chill to the air before parting ways with an awkward hug once more. Teenage Mutant Ninja Turtles 2 follows the same disastrous guidelines. It rattles off names when we’re already familiar with the faces. Approaches more issues. Tidily ends with an identical set piece. Most times – no matter the situation – your gut intuition instantly discloses that an experience is not going to be positive. Despite how much I reluctantly enjoyed the first installment in the rebooted franchise, this derivative sequel doesn’t conjure up anything new to appreciate. The whole Renaissance gang is back and then some. April O’Neil (Megan Fox) continues to team up with the turtles to hunt down Shredder (Brian Tee), a laughable villain who carries himself like a stalwart. The fraudulent and limelight loving Vern (Will Arnett) takes credit for the last rescue of the city as per his agreement with the stowed away brothers. Don’t forget cop and hockey player Casey Jones (Stephen Amell) entering the scene. Then there’s the new intergalactic baddie Krang (Brad Garrett), a gelatinous looking glob protected by a gigantic robotic bust. The horrendously written henchmen Bebop and Rocksteady lurk about too. Out of the Shadows has enough to offer by way of its expansive cast and fast pace. There’s just no backbone to hold them all upright. I’m not sure there will ever be a great movie made from this cartoon. Even the memorable originals lack a bit of staying power. Like last time, TMNT 2 feels the most energized when we’re engaged with the turtles rather than the paper-thin side stories. The humans aren’t interesting, the plot’s regurgitated, the silly heroic figures too hidden and too serious. With spiraling directed action sequences, an overkill use of dutch angle shots, and a whole lot less laughs, Out of the Shadows has the life cycle of a Mayfly. Born, molt, dead in a day. This one doesn’t overstay its welcome, but it could have at least taken the time to make an impression before departing.